Chris Browning explores the daily trials of both depression and Asperger’s, in this tribute of sorts to his two furry feline counsellors. While Grey Fug isn’t exactly humorous, it’s told with a level of sincerity and earnestness that prevents it from ever approaching the territory of the po-faced or self-indulgent. Browning’s art shifts with his mood, becoming more jagged and etchy when he describes himself at his lowest. One of the reasons I love these autobiographical comics is the level of authenticity that rests upon every word and line. Had an artist tried to express depression from an understanding built on television portrayals or literary examinations, they would have pushed this simple idea to maximum effort. 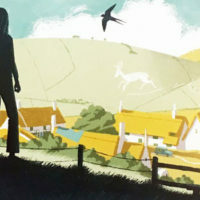 Browning’s effort, however, is evidently heartfelt, and so subtle is the way his art changes to reflect his state of mind that you don’t even notice it until you flick a few pages back. 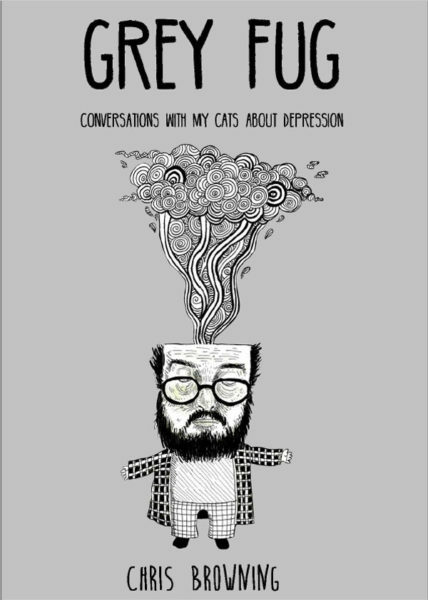 Grey Fug will resonate with anyone who has ever endured mental health issues, regardless of whether they’ve an affinity with cats, and it’s ultimately a sweet natured and optimistic little book, one with a simple yet effectively singular message. 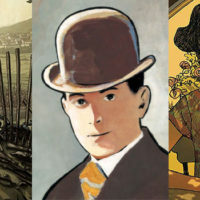 Check out Grey Fug (for a mere £5.50) and Browning’s other work at The Common Swings Blog. 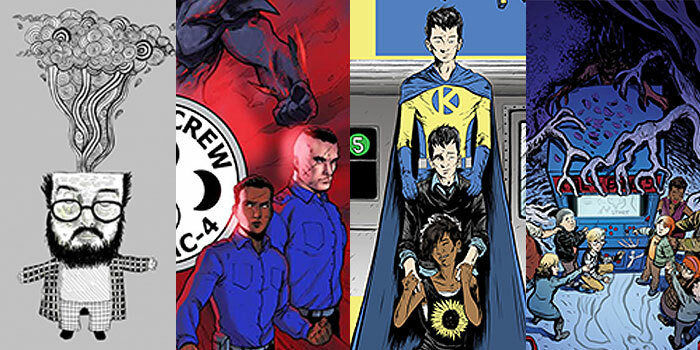 Most of the indie comics I feature in Indie Penance are defined by a clear semi-autobiographical or unconventional edge, predominantly because it’s tough for self-publishers to compete with the big guys’ glossier superhero works or genre titles. 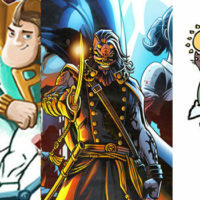 While Spectress & Sabanion doesn’t quite have the sheen of a bigger budget title, writer Kurt Zauer and artist Irene Campos’s story is full of enough novel ideas to stand its own. The series is ostensibly about the two supernatural entities of the title: the ancient Egyptian ghost Aneksi and the chaotic demon Sabanion. 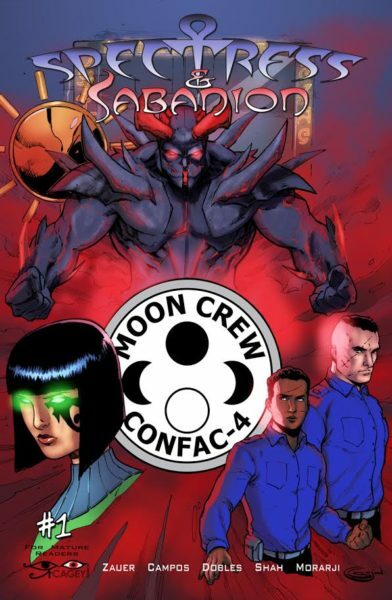 However, their eternal battle is told from the perspective of the so-called Moon Crew, workers at Containment Facility-4 (CONFAC-4) whose job it is to contain the spirits by allowing them to possess designated members of the team as part of a containment ritual. All hell breaks loose, ahem, when the powerful beings attempt to escape from the vault via their human hosts. Spectress & Sabanion #1 is a little clunky in places, as you might expect from creators at the early stages of their craft, but it’s nevertheless a solid and tightly-paced debut, told from an outsider’s perspective that’s far more engaging than I expected it to be from the cover. 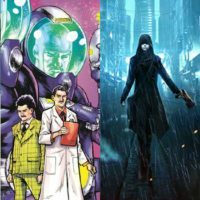 The first issue of Spectress & Sabanion, as well as issue #0 of a Spectress spin-off, is available at cageycomics.bigcartel.com. Jason Pittman’s The War for Kaleb takes on a familiar concept, that one’s personality disorders can manifest themselves in the form of iconic larger-than-life personae, but injects enough of what I assume is semi-autobiographical dejection to make his project feel entirely original. Agoraphobic Kaleb’s mind is the battleground for two conflicting superheroes, whose influence over his personality and surroundings feels all too real when he decides to reduce his medication for the sake of his relationship. 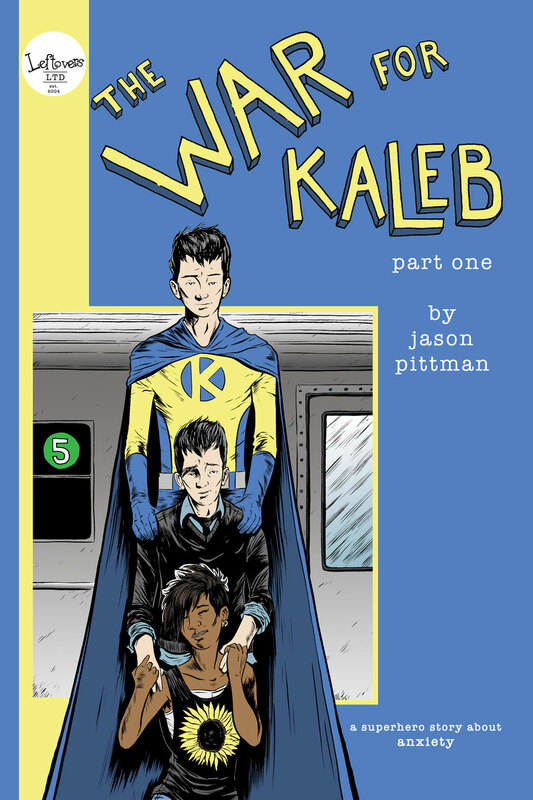 Pittman, a former student of the Joe Kubert School of Cartooning, brings the duelling worlds of Kaleb to life with some inventive and arresting page compositions and a bold colour code; only the protagonist’s ying/yang personalities are rendered in anything but dull monochrome. 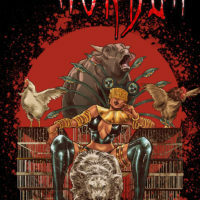 Pittman states in the comic’s press release that “the violent conflict expresses how it feels to have an anxiety disorder—the cycles of fear and unease, and the inability to control one’s mind and actions.” While the book does take some liberties with the concept, it’s the author’s well-grounded sense of authenticity that binds everything together. 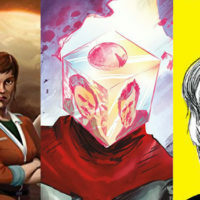 The War for Kaleb’s three issues will soon be available in a collected edition, and you can also read the first instalment for free at Pittmans’s site, leftoverscomic.storenvy.com. The success of Stranger Things may have not so much initiated the current trend for eighties nostalgia as represented its zenith, but I’m nevertheless still enjoying all the comics and horror movies harking back to an era of neon lights, Dragon’s Lair and Crispy Pancakes. 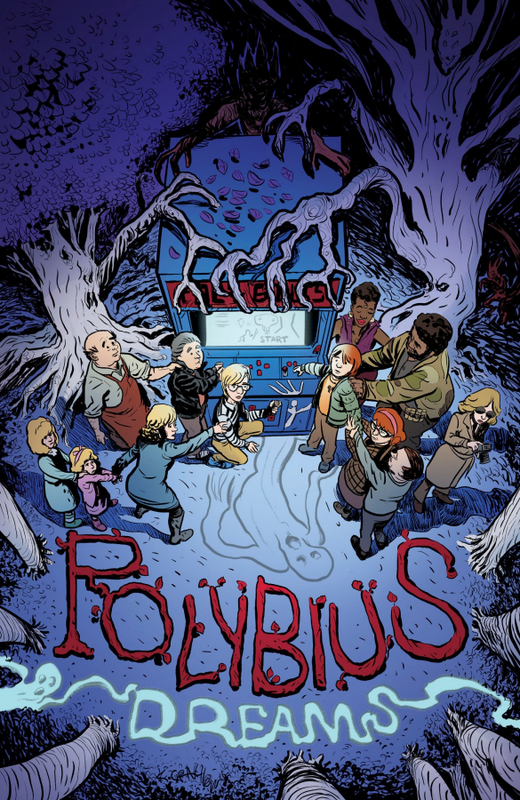 Polybius Dreams, by Ben Grisanti, Keith Grachow and Ester Salguero, however, has a legitimate reason for taking us back to the New York of 1986, in that it’s based around the urban legend of Polybius, a mysterious arcade game alleged to have been part of a US psychology experiment to test psychoactive and addictive effects on gamers. This series, however, goes for a more supernatural angle, with kids who play the elusive coin-up machine finding themselves haunted by visions from an eerie dimension and soon disappearing. Grisanti clearly has a lot of affection for Patrick, Michael, and Paul, a trio of likeable losers for whom J&J’s Arcades offers sanctuary from the miseries of school, bullies and parents. Grachow’s art does a splendid job of capturing the period, with every page littered with period details, all bathed in that gaudy eighties glow via Salguero’s fine colours. Polybius Dreams is a fun series, then, but much like the aforementioned Stranger Things, it’s the plight of the relatable adolescents that will bring you back for the second issue… which successfully completed its Kickstarter last month (see www.polybiusdreams.com).